Current one way and empty legs business jet charter listings. Segment listings are updated as soon as they become available. With one-ways you get point-to-point rates. These are fixed rates between popular city pairs. You do not pay for repositioning or overnights thereby saving money. With empty legs you can save 15 to 70 percent off regular charter rates -sometimes more. What is an empty leg? An empty leg, also known as a deadhead, is a portion of a previously booked one-way private aircraft charter flight. The aircraft needs to fly empty in order to: Pick up in a different airport, return to base empty after dropping off or needs to reposition to another airport for the next client. Be mindful that these flights exist because someone else has already chartered a flight. This means you are more than likely going to be flying under the of the original customer’s flight schedule. You may be unable to depart at your preferred times and will have to be flexible with the departure or arrival airport. Flexibility on dates, times, origin and destination will always give you more charter options. Introducing a first in class program, the JetOptions Travel Experience Series. 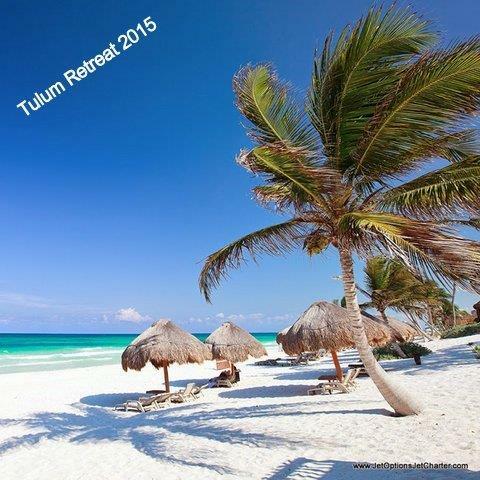 The first event in our highlighted series is a yoga retreat set in beautiful Tulum, Mexico. Taking place February 10th through February 15th. Los Angeles-based celebrity yoga instructors Ali Owens and Janice Chiou will lead a special program of yoga for the mind and body over Valentine’s Day, and this year, President’s Day weekend. 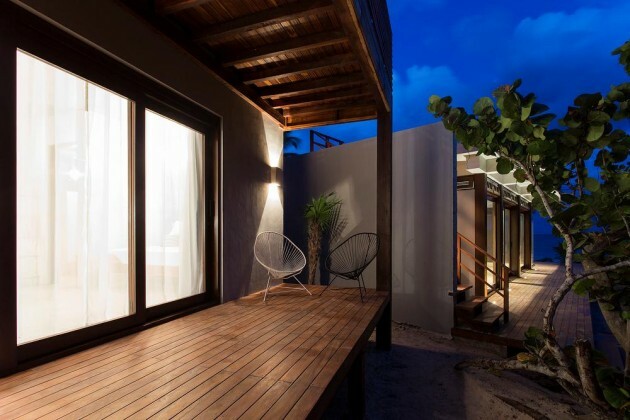 Located on Mexico’s Caribbean Coast Sanara Tulum is a boutique hotel created with the eco-luxury fitness traveler in mind. 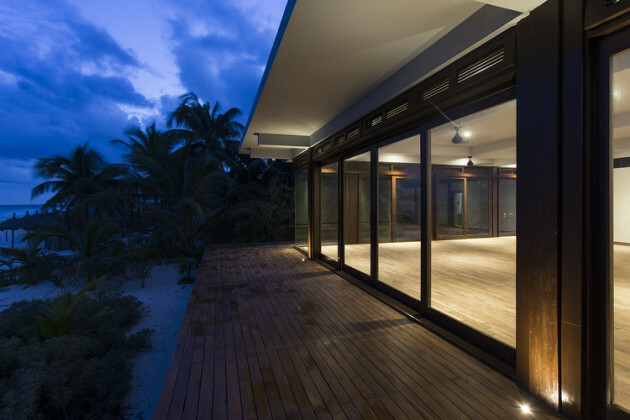 The Sanara Tulum resort is located in Quintana-Roo Mexico located South of Cancun and Playa del Carmen. 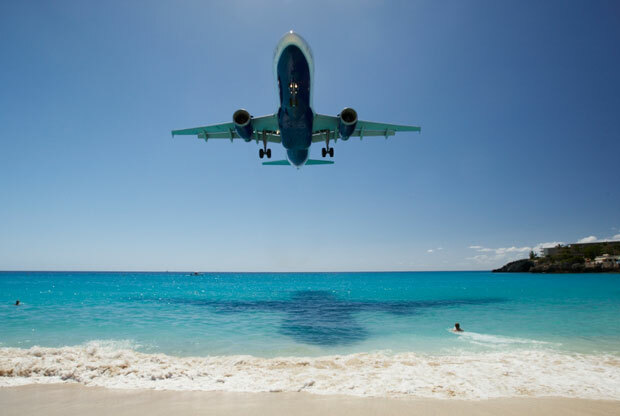 Private jet travelers will land in Cancun International Airport and will travel down the coast by private car to the resort property approximately one hour and twenty minutes away. 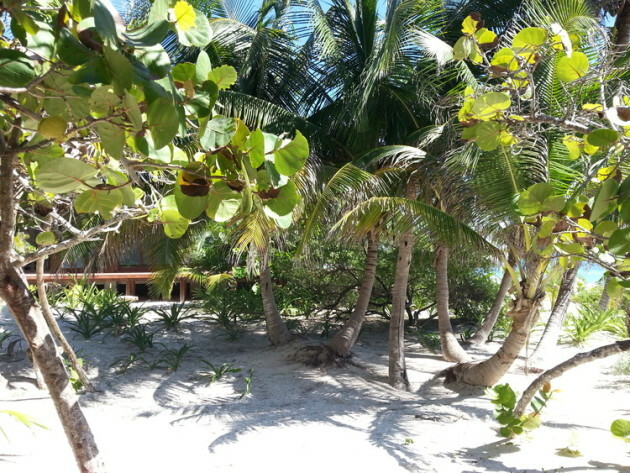 Tulum is famous for its pure white beaches and perfect scenery. It’s also the scene of many famous photography campaigns due to the exquisite natural beauty. Clients will also be treated to an outing to the ancient Mayan archeological site which uniquely sits right on the beaches and is located a few miles from Sanara itself. The Mayan Ruins are the gateway to the Sian Ka’an biosphere, an additional 64km of virtually untouched Caribbean coastline. We are pleased to offer this exclusive retreat to our busy clients. It’s a chance for relaxation and celebration of health with other like-minded individuals, while also allowing for rejuvenation on your own. You are welcome to take part in the twice-daily yoga sessions as you desire. In addition to twice daily yoga classes this package includes food and beverages, 5 nights of accommodation in the hotel in either a Plum Suite overlooking the beach garden. The Plum Suites have a generous space and private gardens with bathtubs set on the ground floor and spacious decks for the upper and lower levels. These rooms are $2,400 for Double Occupancy and $3,800 for Single Occupancy. The private Papaya bungalows are nestled within the jungle near the beach garden and are equipped with a king-size bed and surround a private pool area. These rooms are $2,000 for Double Occupancy and $2,800 for Single Occupancy. 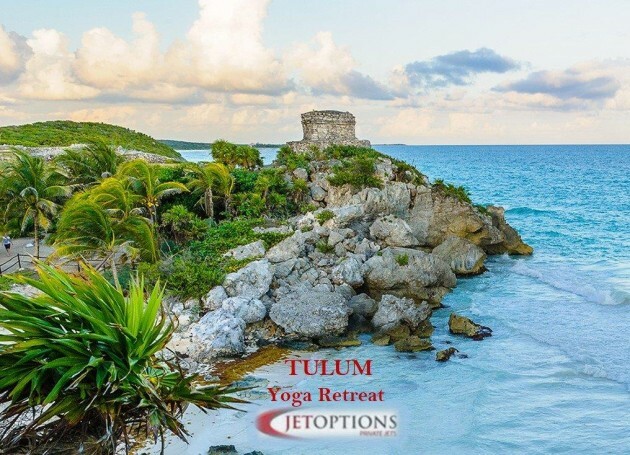 For more information on this package including private jet charter please contact JetOptions Private Jets or fill out a charter quote request for the Tulum yoga retreat. Your charter request will receive immediate attention. Below are sample rates for different categories of charter aircraft that you can use as a guideline. Charter prices are based on roundtrip travel February 10 to February 15 for travel to Cancun from the cities shown below. All prices exclude taxes and fees. 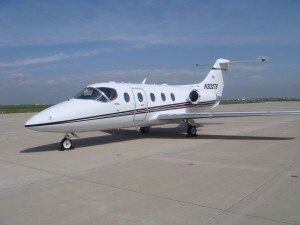 All listings are subject to aircraft charter availability and owner approval at time of booking. Prices will vary according to availability at the time of booking. For more information on your instructors visit www.janicechiou.com and www.aliowens.com. Today, 4th of July, our nation celebrates its 238th birthday. Whether you plan on celebrating the holiday by watching spectacular fireworks or by relaxing beachside with your family, chartering a private aircraft is the safest and most convenient way to travel to your Independence Day destination. JetOptions has access to thousands of safe and highly-maintained private aircraft if you’d like to charter. However you plan on celebrating the holiday, we would like to wish you a safe and happy Fourth of July holiday. Enjoy your July Fourth holiday! Charter a Private Jet to Super Bowl 52 in Minneapolis on February 4th, 2018. 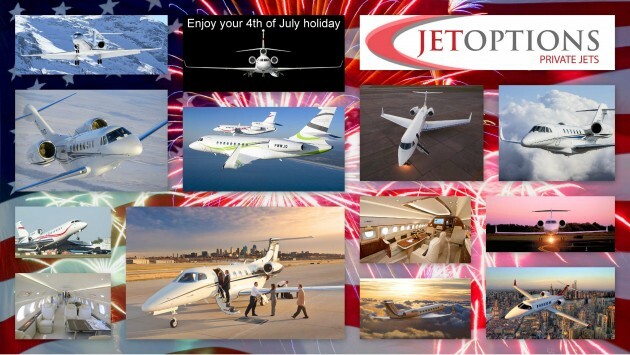 JetOptions private jet charter rates for the Super Bowl from the west coast start at $25,000.00 for a light jet that can seat up to 7 passengers. There are a limited amount of parking slots available for private aircraft so charter your jet to the Super Bowl as early as possible. 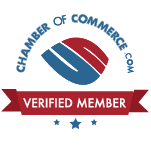 JetOptions will need to obtain a parking reservation PPR and/or airport reservation through their FBO of your choice and/or the airport office prior to operating into the region. Required routes in and out of the New York Area can be expected the week of the game through Monday, Feb. 3, 2014. A Temporary Flight Restriction (TFR) will be released in advance of the game for the New York/New Jersey area, immediately surrounding MetLife Stadium. If you’d like a private aircraft charter quote for travel to the Super Bowl call JetOptions VP of Sales in charge of Super Bowl jet charters Gus Lira at 888-5FLY-JET (888-535-9538) or 972-764-3563. Phones are answered 24/7. 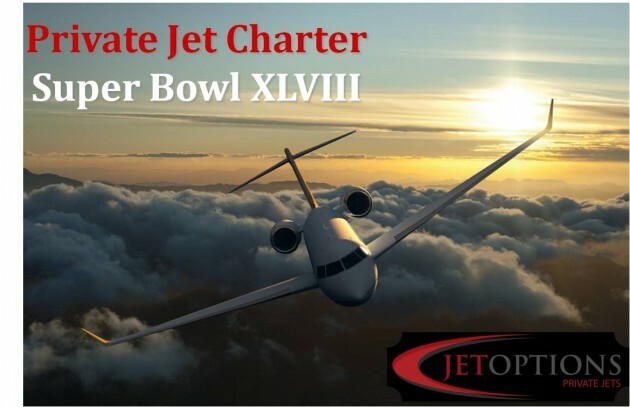 You can also fill out a Super Bowl charter request form or email your charter request to charter@flyjetoptions.net. 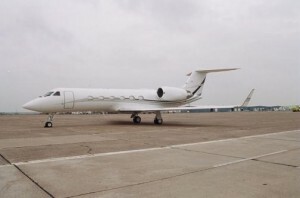 The managing director of Aerojet Corporate–the Lyon, France-based executive jet charter operator caught with 1,500 pounds of cocaine aboard a Falcon 50 in March in the Dominican Republic–has been imprisoned. Pierre Dreyfus and a freelance pilot, Fabrice Alcaud, are now jailed in France, according to Lyon daily newspaper Le Progrès. They have been charged with “banned import of narcotics” and money laundering, among other accusations under French law. Other French citizens, including a customs officer, are reportedly involved in the case. During the March drug bust, the Dominican police arrested 35 people. The Falcon 50, registered F-GXMC, was about to take off to Saint-Tropez, the famous seaside resort in France. The cocaine, which had a street value of approximately $26 million, was packed in 26 suitcases placed in the hold and the cabin. Pilot union SNPL France Alpa later stood up for the two crewmembers, who are still jailed in the Dominican Republic. The above chart shows average price per hour (taxi rate + fuel surcharges) for 3 popular jets in the Avinode marketplace in February. 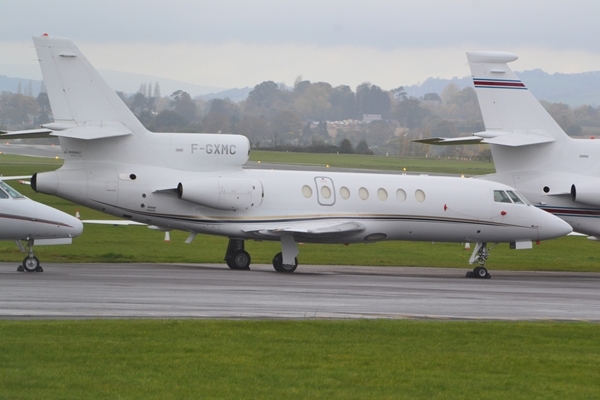 The reference group consists of 32 Falcon 900, 58 Gulfstream IV and 51 Challenger 604. The above chart shows average price per hour (taxi rate + fuel surcharges) for 3 popular jets in the Avinode marketplace for January. The reference group consists of 39 Hawker 400 XP, 22 Learjet 35 and 29 Citation II.